Hey, so remember how I blogged about the fact that I had sold a story to the online magazine The Intergalactic Medicine Show? (If not, you can find the post here, including the description of how I came to write the story.) Now that it’s been up on IGMS (here) for over a year, I thought I’d post the actual story on my website, too, for those non-IGMS-subscribers curious how the story ended up looking. I’m not going to tell you your business, but I’m thinking it’s pretty clear we shouldn’t mention the deaths in the listing. It’s a nice house. Plenty of other things to say about it. The location, for one thing. You’ll probably want to call it the ‘red hot south Main area.’ The roof is only two years old. Great light in almost every room. We had the original fir floor sanded and restained less than a year ago. Just to make the place look nicer. There were no blood stains to remove. The people who’ve killed themselves in the house have all hung themselves, so why would there be blood stains? It’s not like anyone has ever been murdered there. Not to my knowledge. The incidents that did take place in the house have been greatly exaggerated. Anyway, we aren’t going to mention any of that in the listing, right? That would be crazy. And I’m sure no one has ever called you crazy, not with your silver BMW, and those big smiling pictures of you on the real estate signs. That’s how I found you, by the way. I liked your smile and the way that most of your signs said ‘SOLD’ beneath your picture and phone number. I wanted to go with a winner. Doesn’t everyone? The only problem with winners is, sometimes when you’re looking at winners, or even pictures of winners, it can make you feel a little bit like a loser. I’m not talking about your picture. Your picture is great. I was thinking of some pictures I found in the house, pictures of people who were obviously winners. ‘People’ might be the wrong word. Have I mentioned that I’m ready to sell the house below market value? Whatever it takes to move it as quick as possible. The listing can call me a ‘motivated seller’ if you think that would help. Easy money for you, right? A few showings and you walk away with your twenty grand commission. I pay off the mortgage, and send the rest to my mother to help with the kids. None of this has to do with ghosts. The place doesn’t have ghosts. I mean, sure, I caught the odd glimpse of a fancy gown. And, I won’t lie – even now, sometimes I find I have this amazing taste in my mouth as though I’ve just eaten something delicious, though I haven’t actually eaten anything all day. But ghosts? Never. I could have used some ghosts, let me tell you. Better than getting home from work to find my wife sitting at the dining room table, sobbing, the kids squalling on the floor, hungry. ‘I had no time to cook,’ my wife would tell me, tears streaming down her face, the photo albums open in the center of the table. I’d get the kids something to eat, get them to bed and come downstairs to find my wife washing her hands with heated milk. Looking back, I don’t know why that got me so mad. Because, really, who hasn’t had the urge to wash their hands with something warm and nourishing? In those pictures I mentioned – the ones of the winners – there was this one photo where the people were laughing and washing their hands with a dark red liquid they’d been drinking a moment before. ‘People’ might be the wrong word. Looking back, I think my wife had just spent a little more time with the pictures than I had. At that point. I’ve caught up since then. Oh man, have I caught up. Once you start – I mean seriously start – looking at the pictures it’s hard to stop. Even though it can make you feel bad, looking at pictures of beings who are that great. It can make you feel weak, looking at pictures of people who so beautifully, wonderfully, strong. People might be the wrong word. Speaking of pictures, you’ll want to take some pics of the house, right? Feel free to do whatever you need to. Walk through the house — take a home inspector with you, check that everything’s in tip-top shape. Whatever you have to do. Make sure the inspector looks in the attic. Both attics. The one in the house and the one in the garage. They get lazy sometimes, home inspectors, so busy going through their checklist they barely have their eyes open. Anyway, I saw the little panel in the ceiling, put up my ladder and found a few feet of storage space between the garage ceiling and the roof. There was a big wooden chest there – the kind of thing my mother would have stored linen in. Made of an expensive-looking dark wood, elaborately carved. Probably worth something to some collector somewhere. You can check it out yourself if you’re interested. I put the chest back up there a few days ago, after my wife… After she did what she did, and I started clearing out the house. I put the photo albums back inside the chest. By then, I’d looked at them so much I couldn’t forget them if I wanted to. Not that I want to forget them. No way. I put them back, exactly the way I had found them. Two old-fashioned photo albums stacked together in the chest – each one the size of a big laptop computer, heavy, with their covers embossed with real silver. They were both filled with hundreds of pictures, all of a fancy dress ball. There were all these people dressed up and having a party. People might be the wrong word. These … entities being bigger and taller and stronger than any human could ever be, that’s for sure. There might have been some cooking oil up there, too. I get this funny taste in my mouth thinking about the chest, a taste which makes me think of eating delicious crispy things that maybe screamed a little when they were fried. It sort of gives me a headache thinking about the attic and the chest and the albums. Thinking about the things in the pictures. Their eyes especially. I’d lie awake at night, looking at the pictures, and their eyes would stare right back at me. I’d find myself thinking about what would happen if the things in the pictures came back to get their photo album. Thinking about how, if they came back, they’d be horribly – not so much angry, as disappointed – to find me there. Holding their photo albums, looking at them having a party, even though I was so little and insignificant they’d never have noticed me, not if I wasn’t holding their photo albums. I’d never have been invited to their party, not even as the food, not as pasty and soft as I am. They’d like you better, I’m sure. You must work out every day, am I right? Your arms are amazing. I’m positive they’d have invited you to the party, though you might not have liked the role they wanted you to play. Anyway… The point is that I’m a motivated seller. The point is that this place is beautiful. No one’s ever hung themselves from that chandelier, but man they totally could. That chandelier would be like, ‘wham, I barely notice the weight of this puny little human hanging from me!’ That’s how strong it is. How sturdy the whole place is. Not like us — humans, I mean — who are weak, weak, weak. I’ve been thinking a lot about myths lately. The other day, I happened upon this article, which claims that American films (and TV shows, etc.) find inspiration in Greek mythology in times of great social turbulence. If this is true, I think we can expect to see several million remakes of the Odyssey next year. Maybe more. Around the same time, a friend of mine and I were talking about the mythical counterparts that we saw in our respective lives. That day, I found myself on a bridge over the Fraser River, biking through a torrential rain storm. The river was dark gray, and the industrial land on either side of the river looked barren and deserted. It all felt very much like a journey to the underworld. This may read as an unnecessarily harsh indictment of the Vancouver suburbs, but it actually made my ride feel less miserable, maybe even a little heroic. Maybe that’s why we like stories about myths, because they make the struggles of life — getting soaked by the winter rain, having a government which raises taxes on the poor and middle class to give corporations tax breaks, feel more noble, more universal. Maybe that’s why Greek tragedies have lasted so much better than Greek comedies. Or maybe it’s just that they make us feel smug. Yeah I was wet, but at least I didn’t murder my father and marry my mother. Take that, Oedipus! So spare a moment for a Joseph Campbell-esque thought: today – what’s the mythical counterpart of what’s going on in your life? 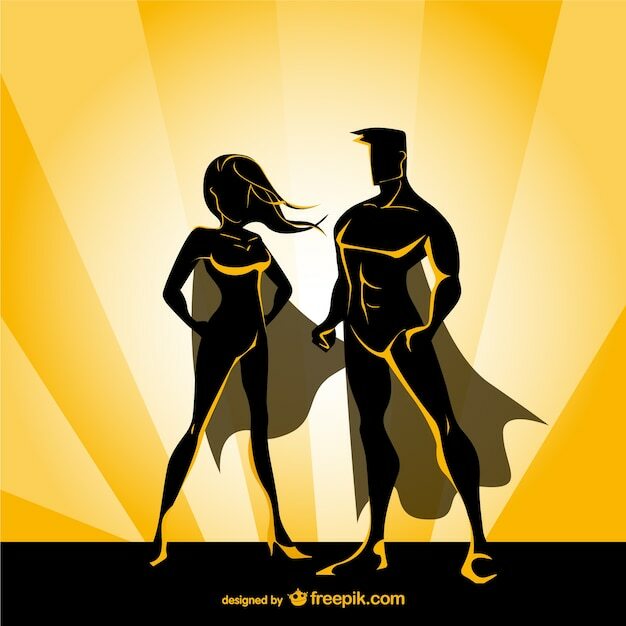 What mythical creature or hero or god(dess) are you feeling? Speaking of myths, below I’m pasting a story I wrote a few years ago and never published. There’s a mythical creature in it. Maybe several. Then she was gone, and I missed her. We had met at an outdoor dance party in late July. It was one of those endless summer nights you get in Vancouver, when the sun sets at 10 and it still feels early. The party was on the roof of a friend of friend’s apartment building, high enough that you could see English Bay to one side, while on the other the mountains glowed in the setting sun. The next day I woke up in her bed, with her asleep next to me. Her feet were sticking out of the blankets. I remember noticing how big and beautiful her feet were, right down to the glittery toenail polish, and tufts of fine, golden hair catching the sunlight. She wanted to go hiking in the mountains that Saturday, but I convinced her to see some stupid Danish movie at the Cinemateque instead. The summer stretched into a beautiful autumn. A warm September, a mild October. Our last night together was Halloween. She dressed up as Liberty, I dressed up as Truth. No one at the Halloween party understood our costumes. We fought about it afterwards. Our last fight. “What’s over?” I said, hoping she was talking about the party, even as I understood that she was talking about us. I couldn’t believe it. It hadn’t been a particularly nasty fight. “My heart is a mountain that you cannot climb. It’s better if we just end it now. I want to spend the next few months sleeping.” She walked out of my apartment. She didn’t say goodbye. She didn’t bother with a final hug or fake tears or any of the other annoying parts of a break up. She stopped returning my phone calls. She didn’t come by the parties where I used to see her. For hours, then days and then weeks, that was that. She was gone, and I missed her. I didn’t show up at work for so long they thought I had quit. I had quit, I guess. I bumped into my manager outside the office a few weeks later, and I made up lies about how I was spending my time. I was learning to snowboard. I was writing screenplays. I was road biking, hiking, winter kayaking. My blog had sponsors. He should check it out. Totally. Really, I was spending my time thinking of her. I was spending my time thinking that there had to be some combination of actions I could take, some perfect combination of words and flowers and calculated occurrences that would win her back. And then, one day, I saw snow covering the mountains north of the city. She had always wanted to take me hiking in the north shore, where she was from, but I never wanted to go. Until now, without her. The mountains weren’t so far away from the city, not really. It took me two hours to get there, but only because I had to take two buses. The first bus smelled like gas and sweaty people, but the second bus – the bus to the mountain – smelled like snow. By the time I got there I was hungry. I had brought three granola bars with me. I ate one, wondering how I would get home. The buses didn’t run very often. I started walking. I put on my hat and gloves, zipped my jacket up to my throat. Goretex clad hikers jogged past me. Some were carrying weights. Some had dogs running next to them. After an hour my legs hurt. I rested, until I got so cold I had to keep walking. Finally I got to the top of the mountain. I still hadn’t reached the snow. The snow line is higher than it looks from the city, where the mountains seem to be covered with snow. There was a gondola on the mountain waiting to take me back down, and I realized I could have taken the gondola up from the beginning. But there were more mountains behind the gondola. It was just the beginning I realized. Mountains on top of mountains on top of mountains. It started to rain. There was a little concession next to the gondola. I bought a muffin and a cup of tea in a cardboard cup and kept walking. After a while the rain turned to snow. It smelled of her face. The leaves were red and falling, blanketing the path and slippery. I tripped once. I got up and kept walking. I tripped again. After the third time I fell, I lay on the ground for a minute. A leaf near my face was heart shaped. She was tall, but he was huge. He offered me his hand, just a bit smaller than my head, and hauled me to my feet. “Yes. I’m looking for your sister,” I said. I recognized him, of course. She’d told me about her brother, showed me pictures, but we’d never met. She was protective of her family. When we had been together, I had liked that protectiveness. I had imagined her being protective of me some day. He shrugged. “She’ll pick them up in April. If she feels like wearing clothes again.” He was naked I realized, covered with long fine fur the color of the overcast sky. You’d think I’d have noticed that immediately, I guess, but he looked so comfortable, and in the dim light I’d thought it was a fur coat. I tried to remember her clothes. I couldn’t quite picture any outfit. I couldn’t quite picture her face, even. Though I knew she was very beautiful. Though, I knew I loved it when she smiled. “Go home,” her brother told me. He was a nice guy. He waited for me to say something, but I just kept thinking about how cold my feet were. How I wished I was covered in fur, too. About how sometimes, no matter how much you want something, you don’t get it. I took the gondola down the mountain. I went home. Then she was gone, and I missed her. October 27 Book Launch — Details! One Month to The Innocence Treatment! 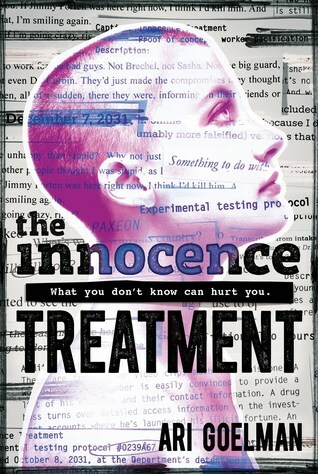 Just about exactly one month before The Innocence Treatment hits bookstores! Preorder your copy now! One of the cool things about publishing with The Intergalactic Medicine Show is they let you write ‘the story behind the story.’ This is particularly cool (and easy) with “Real Estate Listing,” as I don’t know that I’ve ever written a story with such a coherent back story. I’ve lived in Vancouver, Canada, for the last decade or two. During this time period, housing prices have gone through the roof. The real estate industry has basically become THE industry of the city and the surrounding area. It’s also the primary topic of conversation in the city: how long will the bubble last? Who do we blame? Have I told you about my latest renovation? Blah blah blah. The story’s called ‘Real Estate Listing,’ so clearly all that is simmering in the background of my mind when I wrote the story. This really happened, too: a few years ago my (then) wife and I bought a place together — a little 1200 square foot duplex in east Vancouver. The unit had a little detached garage behind it. We didn’t think much about the garage — we glanced at the garage, saw that it existed, and that was about it. The home inspector spent a good deal of time looking at the actual duplex’s attic, but the garage attic? I don’t think anyone even realized the garage had an attic. I certainly didn’t – not until a week or so after we moved in, when I was moving our stuff into the garage, and noticed the ceiling panel in the garage. I dragged my ladder over to the panel, climbed up, and poked my head into the tiny attic. It took me a while to make sense of what I was seeing. There was a huge, stainless pot up there, and it was filled with some kind of liquid. Even with my flashlight, it couldn’t make out what kind of liquid it was. There were also a half dozen enormous, empty containers of Crisco vegetable oil. And finally, there was some kind of apparatus on the ground that looked a little like a hot plate you might use in your college dorm room. I threw the plastic bottles down and put them in the recycling bin, but the pot full of liquid was too heavy for me to wrestle down the ladder on my own. Instead, I waited until my brother-in-law came over. Working together, the two of us managed to get the massive pot out of the attic without injuring ourselves, nor spilling oil everywhere. Because, of course, the pot turned out to be a deep fryer filled with used oil. So to recap – someone had brought gallons of oil and a deep fryer up to the tiny attic of a tiny garage. Why would anyone put a deep fryer in an attic that you could only access with a ladder, that you shouldn’t even climb into, that had no structural support, and certainly wasn’t designed to take the weight of a single person, let alone a single person using a huge deep fryer? Also, who cooks in the unventilated attic of an unventilated garage? Clearly someone who was trying to hide their cooking from someone else. Maybe someone had a health-conscious partner, and this was the only way they could satisfy their deep yearning for fried meat? Maybe the workmen who had been putting up the duplex four years earlier? My latest giveaway is now live — right here. I’m giving away two signed advance review copies of The Innocence Treatment! This is the third month I’m doing this, and I want to invite you all to participate in a little experiment. Two months ago, the first time I did a Goodreads giveaway, I blogged once, tweeted twice, and maybe wrote a FB post or two. That month, the contest got about 900 entrants. The next month, I did another giveaway. But this time I did nothing to publicize it. I neither tweeted, nor blogged — I didn’t even talk about it much. That month, the contest got about 1800 entrants. Twice as many! So the question is — is this just natural variation? Does it have to do with the publication date getting closer? Or maybe the fact that, for the second competition, I opened it up to every country I could, including Azerbaijan, (which (I assume) is full of people who are super eager to get their hands on The Innocent Treatment)? Does my social media presence matter at all? Let’s answer this important question together. I invite all of you to sign up here to win. Then share this blog post / FB post / tweet. Together we’ll learn if it matters. Or don’t — that will give me some useful data, too. Pretty much whatever you do, scientific understanding will be advanced. Win a Signed ARC of The Innocence Treatment! Advance review copies? I’m practically giving them away. To be precise, I’m giving exactly one away. Don’t worry. There will be more down the road. That’s right. It’s your chance to win the very first signed ARC of my new book. There will probably be thousands, if not tens of thousands, of people getting their names into this draw. I suggest you run, not walk to get your name on this list. That’s a joke. Really you don’t have to move at all. Just click here. It’s possible the below widget might work to get you there, too. p.s. I intended to make this giveaway open to people from anywhere in the world. Instead it’s open only to people in the U.S., the UK, and Canada. My apologies to the impatient readers of Luxembourg — next month!